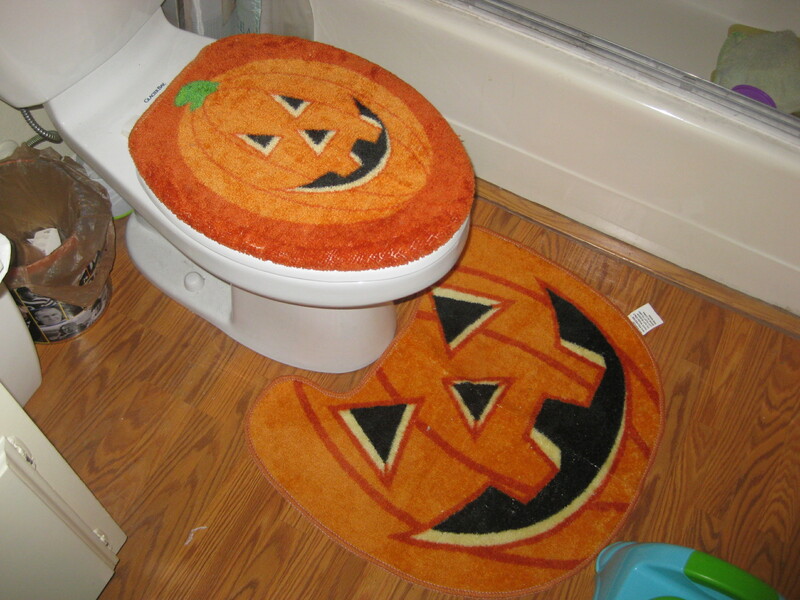 I spent the better part of the day decorating for Halloween. 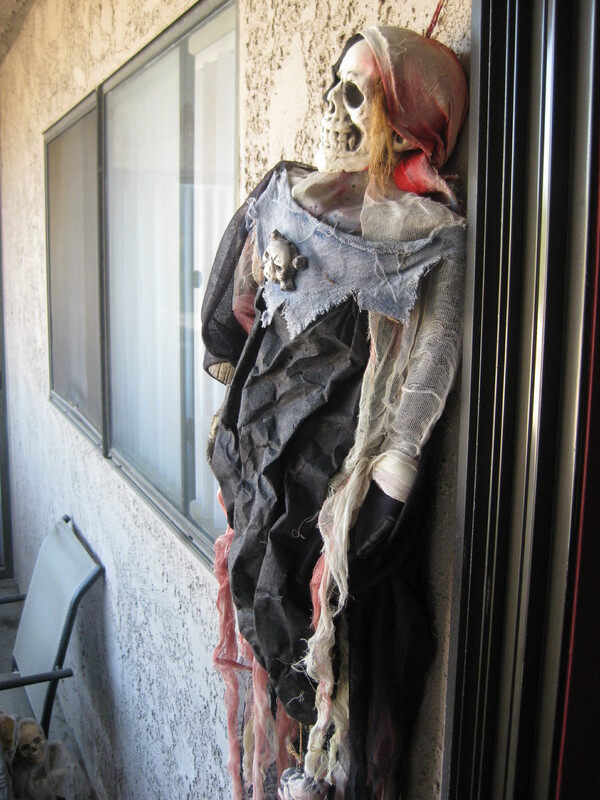 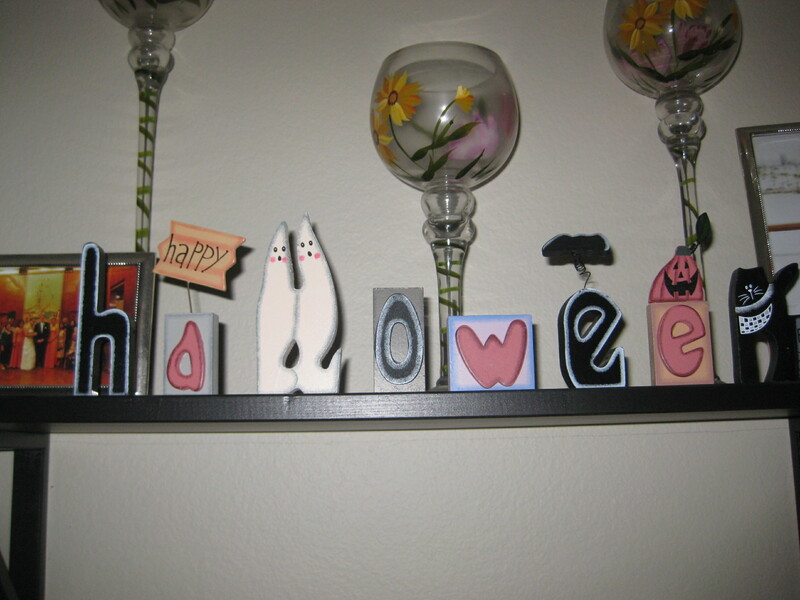 Since my entire blog is devoted to this wonderful time of the year, I figured you might like to see what Halloween decorations I have. 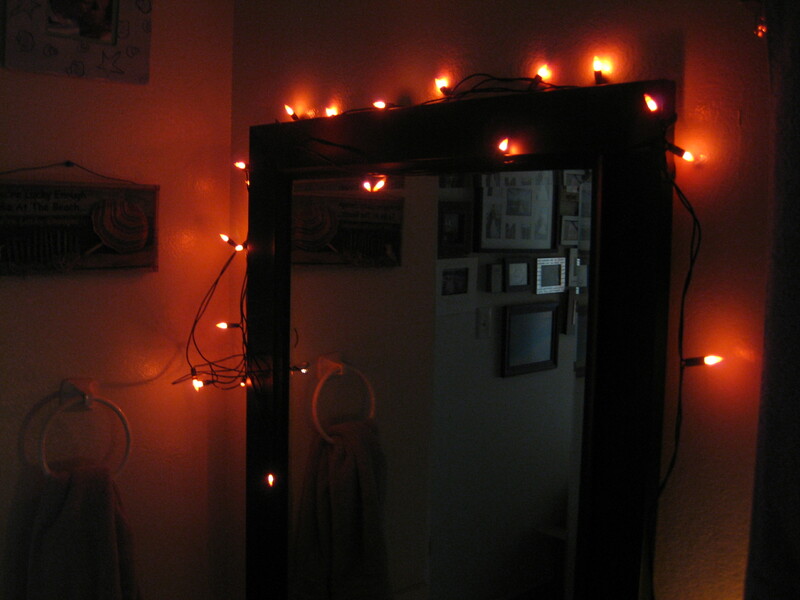 So, without further ado, here are some photos of my decor. 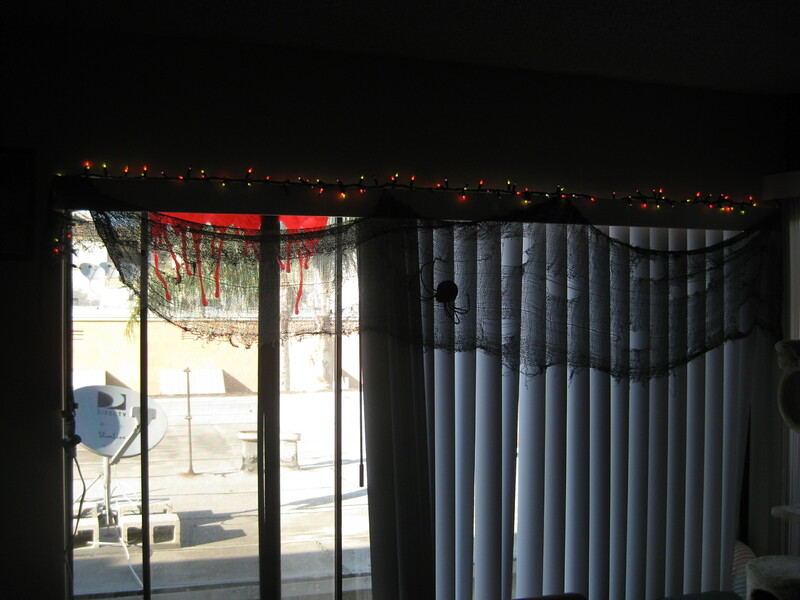 Creepy cloth, giant spider and festive holiday lights. 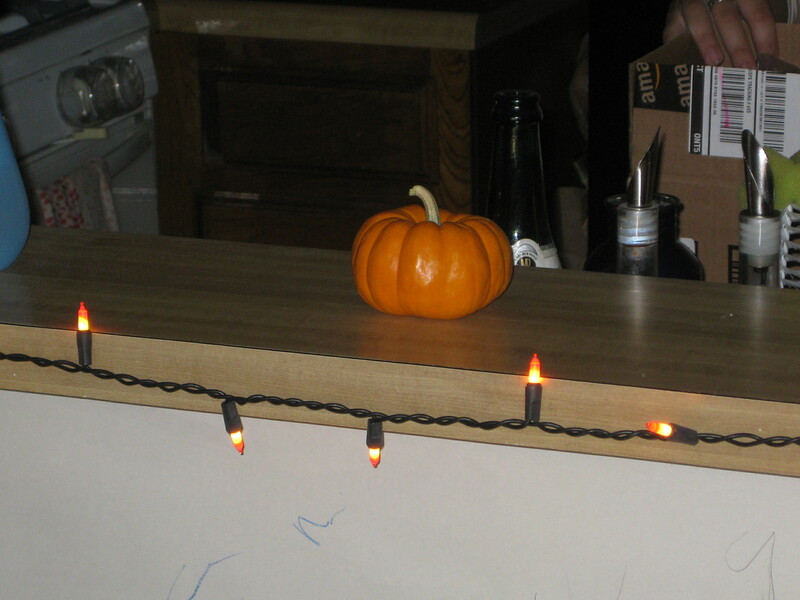 A mini pumpkin and candy corn lights on my kitchen bar set up a perfect place for serving Halloween drinks! 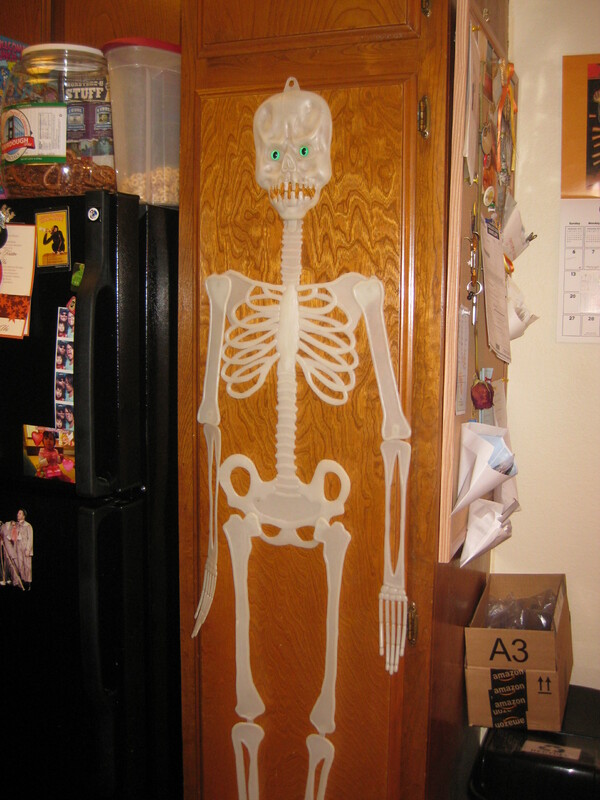 Spooky skeleton on the food cupboard! 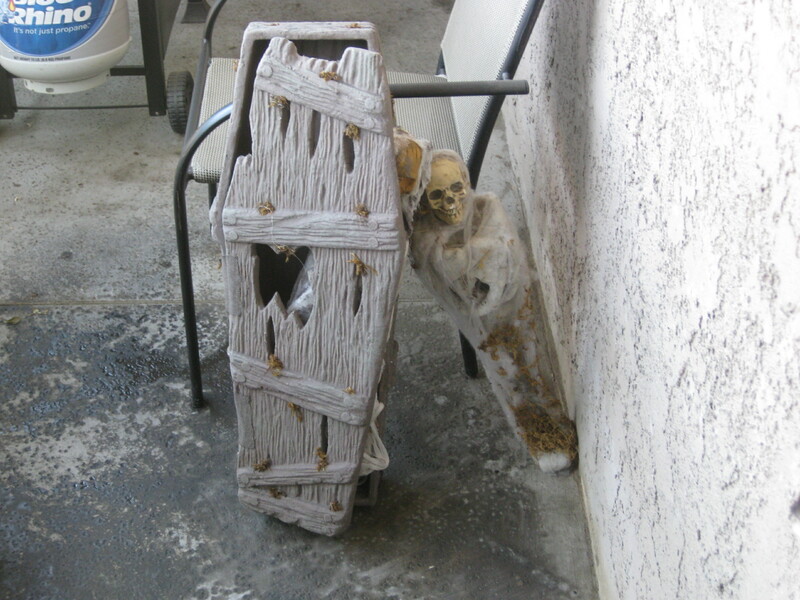 Maybe this will keep the kids from eating all of my food. 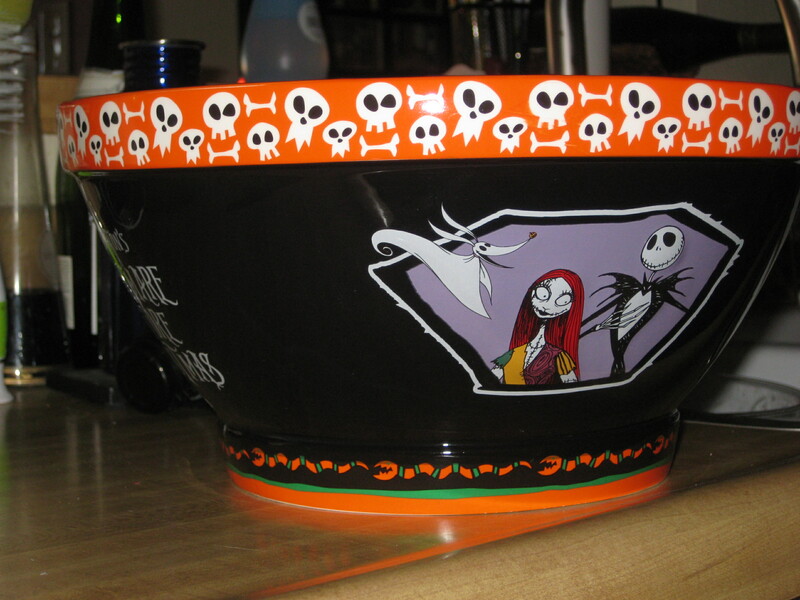 This Nightmare Before Christmas candy bowl is an eye-catching way to give out your candy to trick or treaters. 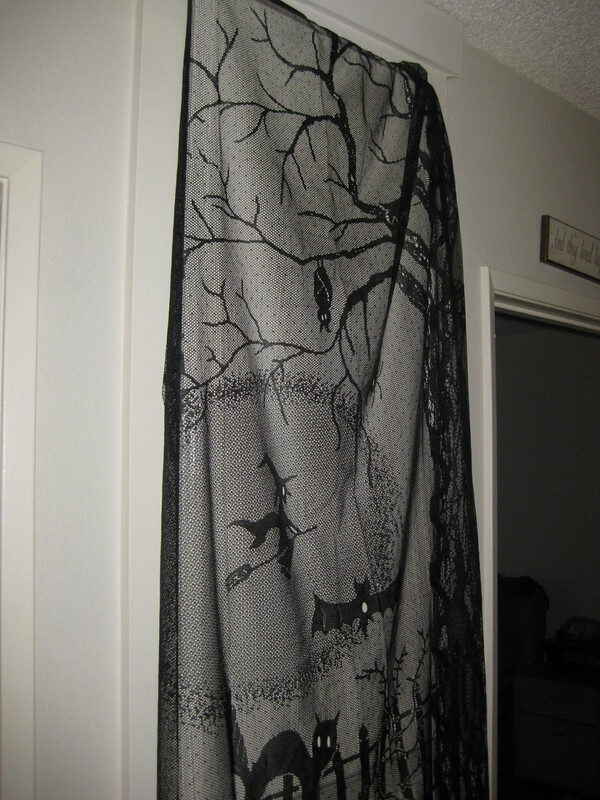 This creepy lace curtain adds a bit of gloom to the hallway. 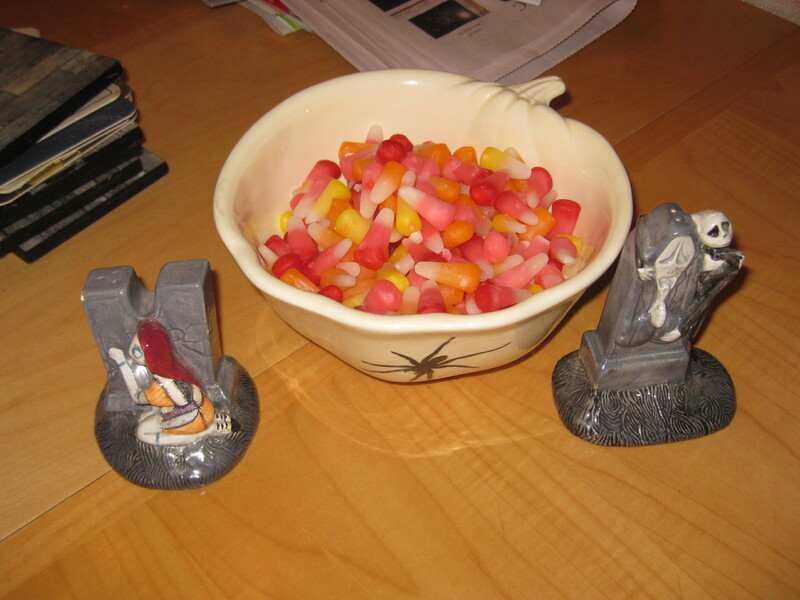 My guests always comment on these, mostly in a positive way!